Adapted from Thinking Together by Rozlynn Dance & Tessa Kaplan. Teaching questioning skills is not an easy process. It involves patience, scaffolding, and focused instruction. Asking a question is not something that a lot of our students know how to do innately, especially at the primary level. At the beginning of the year, our youngest learners will often confuse statements with questions. It is important to start the year by teaching the difference between a question and a statement. One way we do this is through the use of a question/statement T-chart. 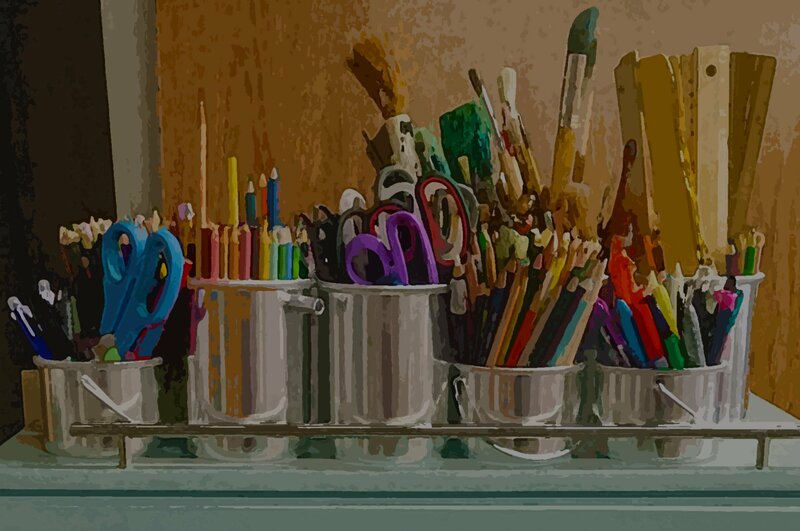 Find an engaging or interesting photograph that you know will spark the interest of your students. Show it to the class and tell them you’d like them to work with a partner to ask questions or talk about what they notice in the picture. As a whole group, provide students with definitions of a question and a statement. Make a question/statement T-chart as students share about the discussion they had with their partners. When someone shares a statement or question about the photograph, ask students to choose which column the sentence belongs in. Facilitate a discussion as students decide which sentences belong where on the chart, asking students to justify their thoughts. By charting the examples, students are able to see clearly how questions and statements differ. Leave this chart posted in the room and refer back to it as necessary throughout the year. Nonmathematical questions like, “Why did you color the tree blue?” or “Why is your 9 backwards?” are not uncommon at the beginning of the year, especially in the primary grades. As students are just beginning to understand how to ask questions, it is important to accept these questions and praise students for asking them. If you begin limiting question types too soon, students may be hesitant to ask questions at all. As they progress in their understanding of questioning, you will eventually need to discourage this type of questioning. Explain the difference between a “mathematical question,” and a “nonmathematical question,” to better clarify. Another way to encourage students to ask questions is through the classroom routine “I Notice, I Wonder” suggested by the Math Forum (2017). In this routine, students are given a math problem or scenario and encouraged to first talk about what they notice in the problem. These noticings can be charted as a whole class, discussed with partners, or discussed in a small group. Then students are asked, “What do you wonder?” They should be encouraged to discuss all the things they wonder about the math problem or scenario. In this routine, students feel comfortable asking questions because they are encouraged to think about the problem in a low-stress way. Once students are comfortable with this routine, teachers can take it a step further by asking students to analyze the types of noticings and wonderings they are having. By analyzing what they notice and wonder, students begin to think metacognitively about the kinds of questions they are asking. Modeling is crucial when promoting student questioning. Just as we deliberately model kind and polite words with our students to encourage respectful behavior, we need to deliberately model questioning to encourage students to begin asking their own questions. During the beginning of the year, most of the questioning in math will come from the teacher. As students share thinking during daily lessons, teachers need to be intentional in asking all types of questions. After a while, encourage your students to ask questions of one another. When you begin to hear them mimicking the types of questions you ask, use specific praise to talk about why those questions are important. As you strategically praise students for asking focused questions, more students will begin to follow suit, trying their best to ask deep-level questions. You will soon hear students using those same questions with their peers, and they will begin developing their own questions instead of just mimicking your modeled questions. You can push the level of questioning in your classroom throughout the year by scaffolding the types of questions that you model. At the beginning of the year, ask straight-forward questions such as, “Why did you choose that strategy?” or “How did that tool help you solve the problem?” Once students begin asking these questions on their own, increase the complexity of the questions you are modeling. As you increase the complexity of the questions you model, students will increase the complexity of their own questioning. Question and conversation stems can be extremely helpful in getting students, especially English learners, to ask questions and discuss mathematical concepts. Create sentence stems for students to use and post them in your room to help guide student questioning. As students come up with other questions, add stems for them to your collection. One way to encourage students to use the stems is by writing a student’s name on a sticky note and placing it on a stem when they use it (or letting them do so). The kids love to see their name up there, and you will find that kids often notice when others in the class use a stem they added. While there are a variety of talk moves you can use to promote mathematical discussions, a few specific moves help students develop their ability to ask questions. Questions like, “Can you tell me more about that?” or “What did you mean when you said _______?” or “Can you say that again in a different way?” help students see that elaboration is sometimes necessary for better understanding. Directly modeling these types of talk moves helps them become part of the math language in your classroom, and students will begin using them during group discussions and with their peers. During discussions, we often ask students to rephrase one another’s thinking to ensure understanding and keep them engaged in the discussion. When students struggle to rephrase their classmates, encourage them to think of a question they can ask to help clarify what the student sharing is trying to say. Does anyone have any questions for ___________? Does anyone have any questions about ___________’s strategy? What questions can you ask ___________ to help yourself better understand [his/her] thinking? What did you mean when you said ___________? I heard you say ___________. Is that correct? Can you say that again in a different way? As teachers, we know that our students will do anything and everything to please, so creating a classroom culture that encourages questions relies heavily on positive praise. We jump for joy when our students ask a clear and meaningful mathematical question. 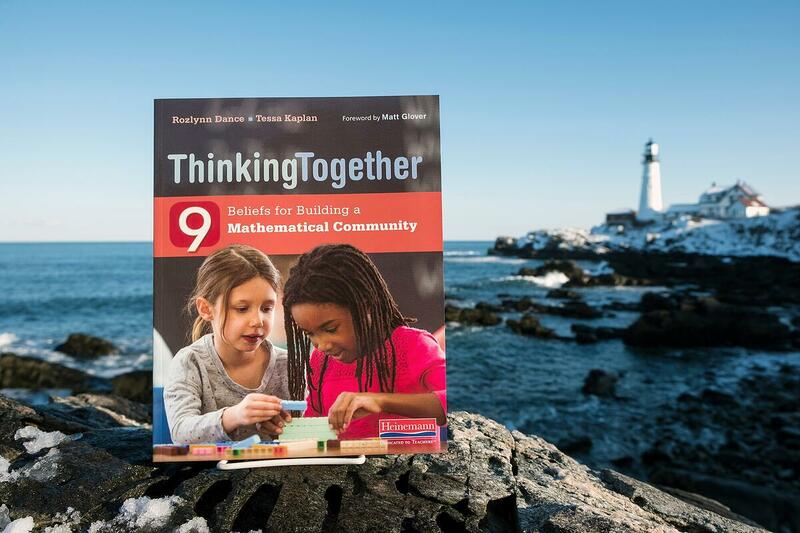 To learn more about Thinking Together and download a sample chapter, visit Heinemann.com. Rozlynn Dance is a first grade teacher in Federal Way, Washington with more than a decade of elementary classroom experience. She has worked closely with colleagues developing curriculum and providing mathematical professional development for K–5 teachers. Tessa Kaplan is a K–6 Instructional Coach in Shoreline, Washington who is passionate about helping young children truly believe in themselves as mathematicians. She has 10 years of classroom teaching experience in public schools in Brooklyn and Washington State.